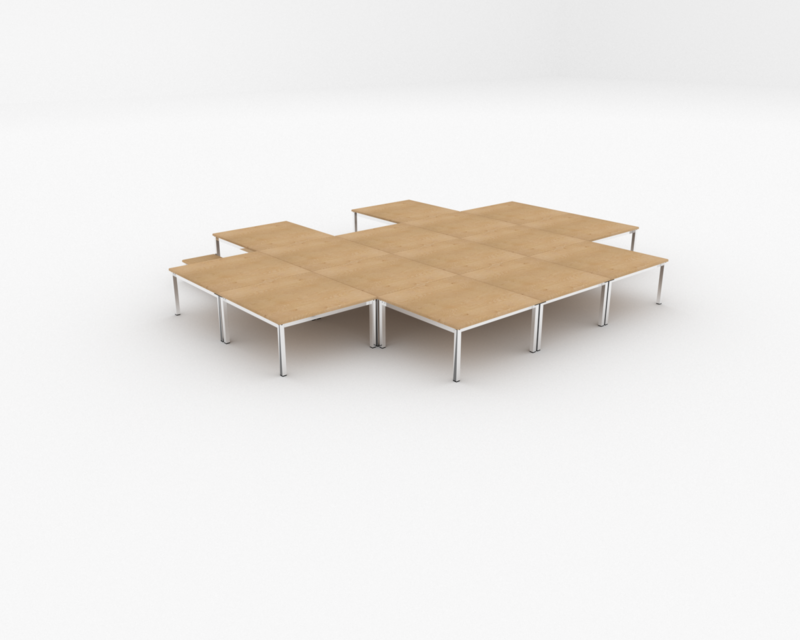 Set 15 is the ideal starter stage set for small halls. 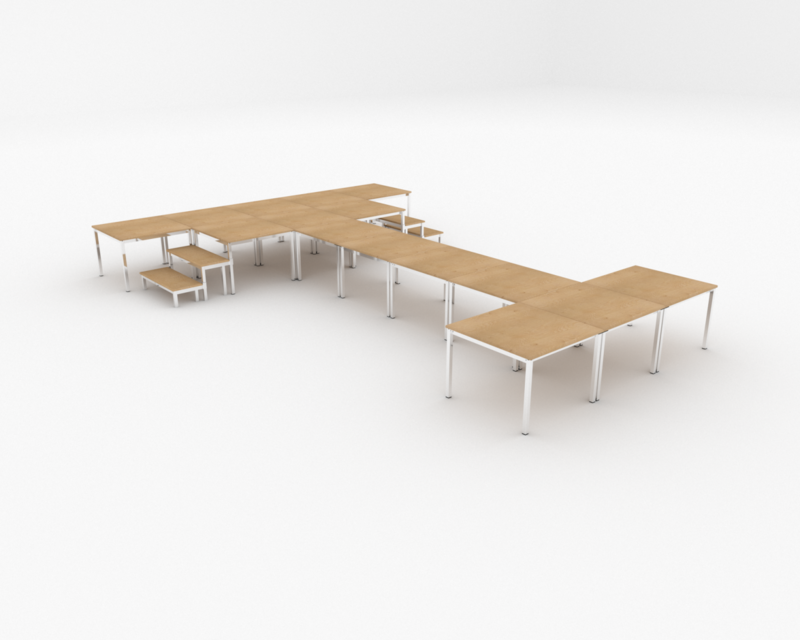 the set cab be provided in two heights of 360mm and 540mm. 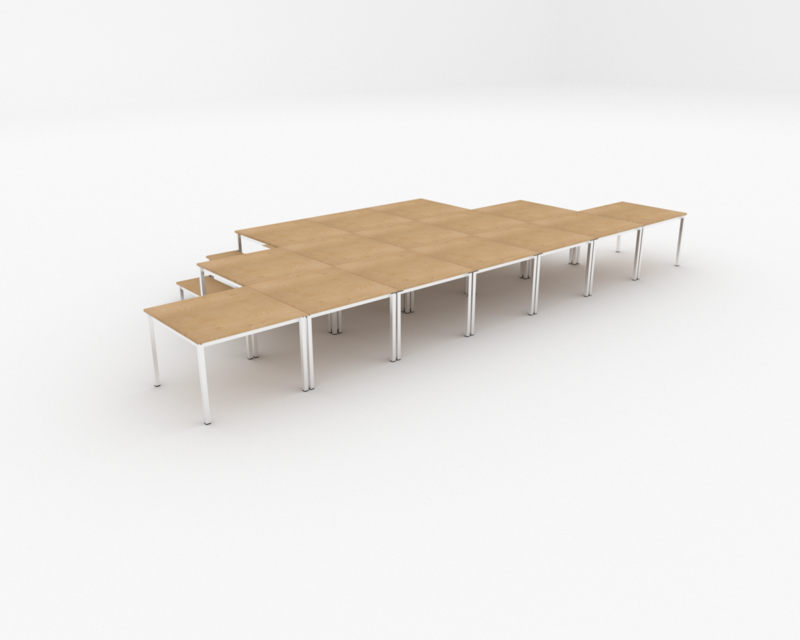 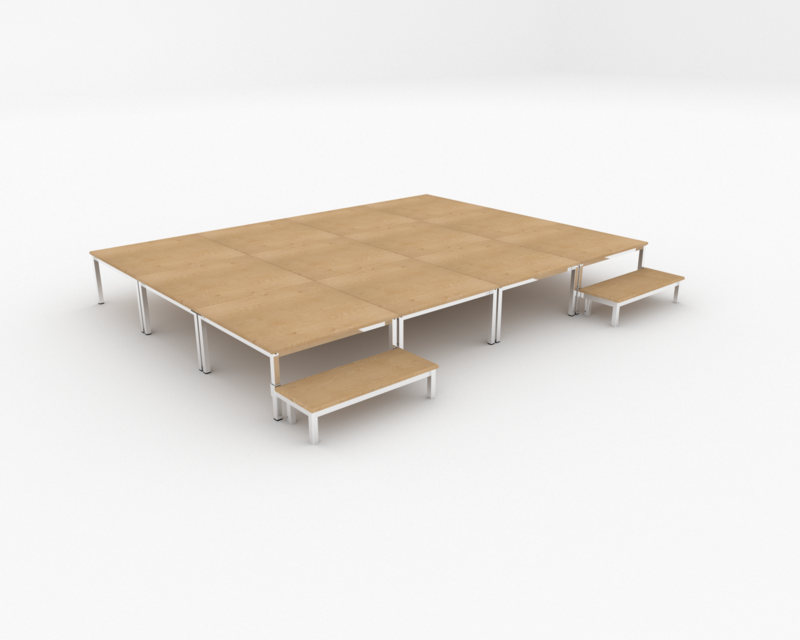 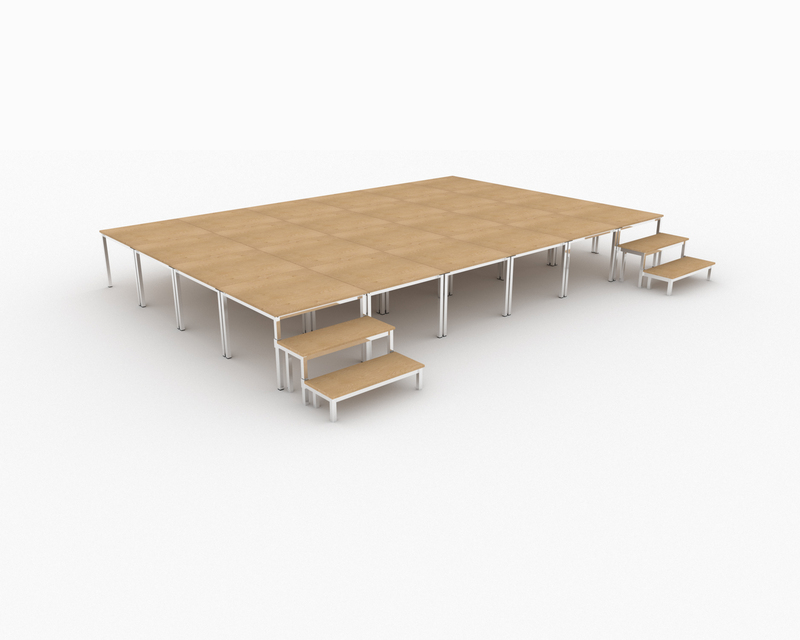 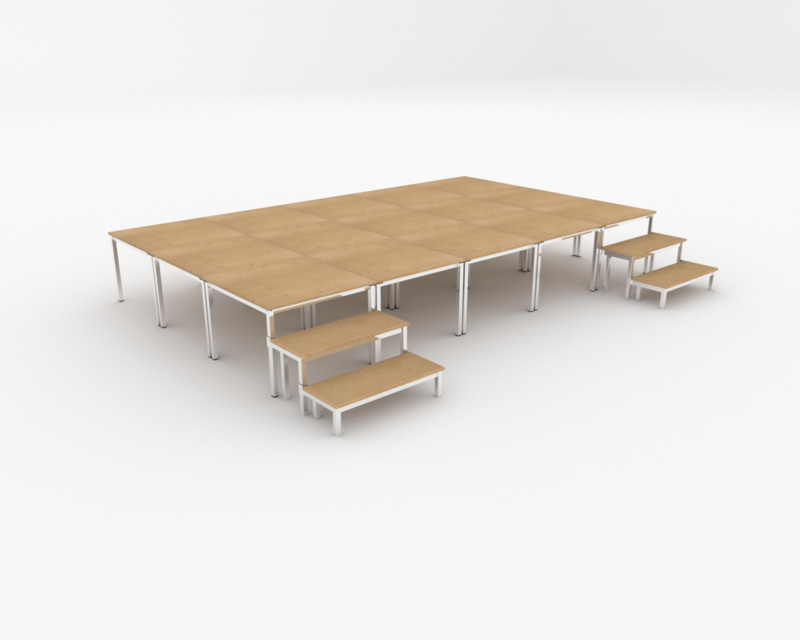 For smaller children we would recommend the 360mm height staging with two 180mm step units. 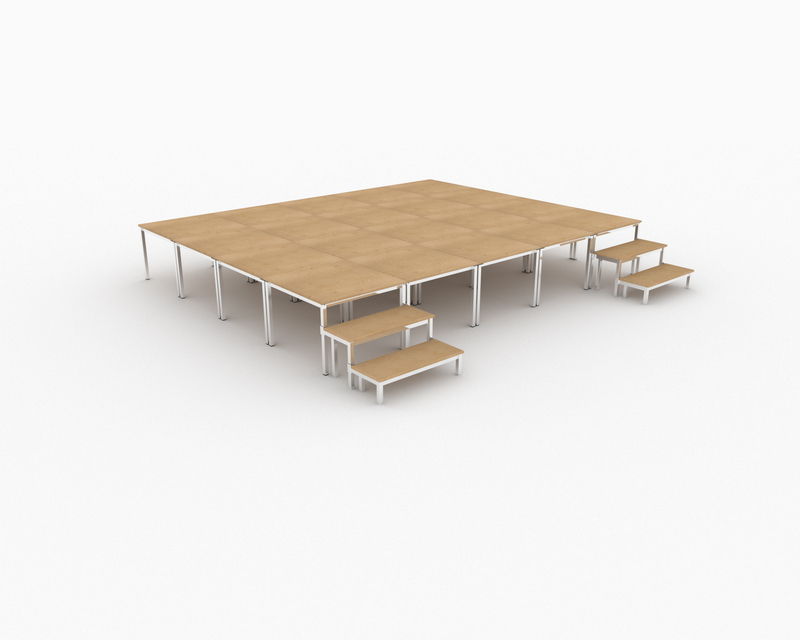 The set comes complete with unlinks to secure the units together and mobile storage shuttle.